Final post this week (probably) about this thing I’ve been fiddling around with. Dreamed about food. Maybe indoor meals, but I don’t remember specifics. Did a single-draw about it anyway, to keep in practice. Then had a couple of dreams that left me feeling as though I’d gone through some epic adventure, but I couldn’t recall the specifics of those, either. Rose Quartz was gigantic in one, and she met her son-self the eponymous Steven Universe of the series, except he had turned into an adorable yellow-brown jackalope. Columns left to right: Garnet, Amethyst, Pearl, Rose Quartz. Rows, bottom to top: body, heart, mind, spirit. The following entry may contain triggering material. The dream: My deceased, abusive mother and estranged, abusive sibling sat at an antiseptically clean-white kitchen table together. I mentioned that their lousy attitudes towards relationships and sexuality left me vulnerable to sexually abusive dynamics. They disagreed without substance to their counterargument. 1. (Center) Signifies the Querent. Five of Spades. 2. (Crossing) The crux of the issue. Four of Hearts. 3. (Top) Themes to consider. 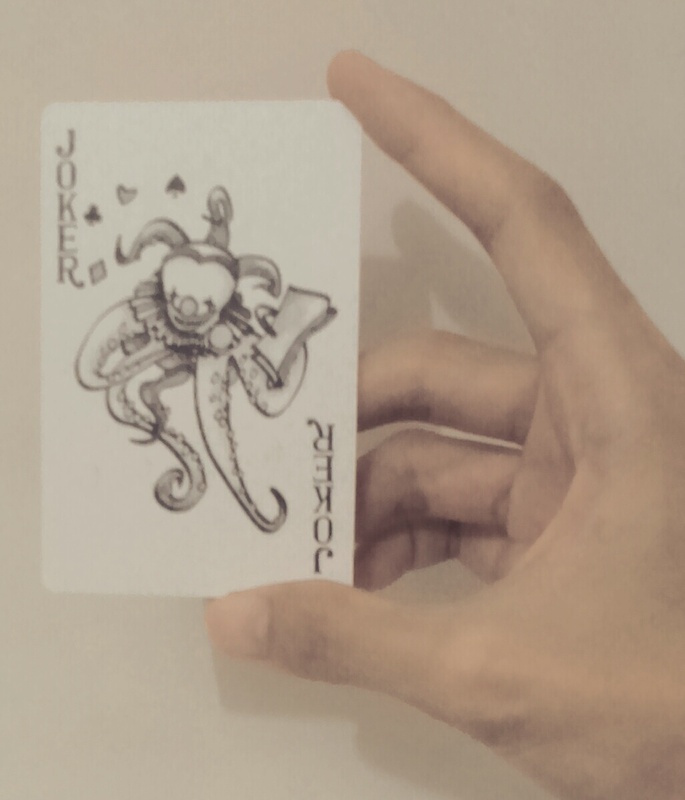 Seven of Spades. 4. (Upper left) Symbols from the dream. Three of Diamonds. 5. (Upper right) Symbols from reality. Two of Hearts. 6. (Lower left) Why the dream doesn’t wake up. Seven of Hearts. 7. (Lower right) Why reality doesn’t sleep and dream. Ten of Spades. 8. (Bottom) Future, culmination. Eight of Diamonds. I’ll get back to the Seven of Spades. Symbols from reality, (Two of Hearts) current infatuation, contrasted with having learned from past infatuations that I absolutely cannot trust my feelings or instincts about anybody. I don’t love what’s good for me, and…frankly, I’m not eligible for someone to share their life with that way, anyhow, I’ve got too many practical issues right now to be good company for anyone. 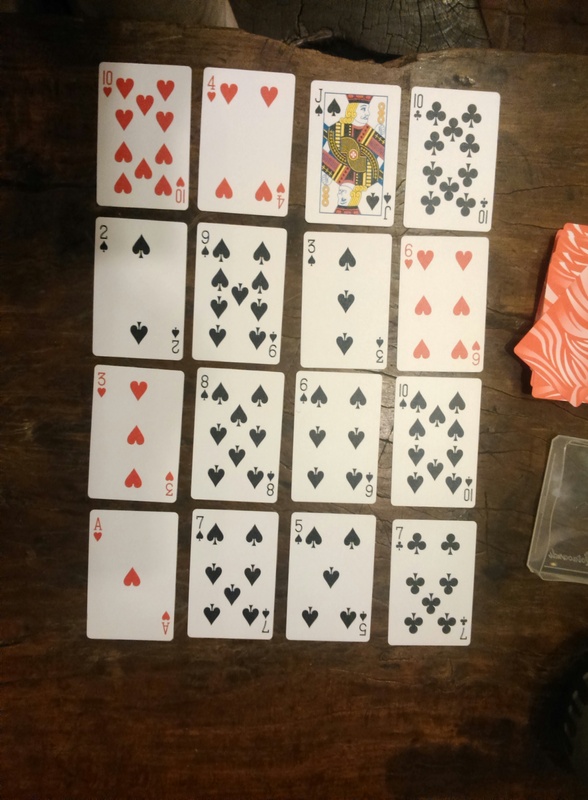 Symbols from the dream (Three of Diamonds) suggest that my solo-parent, two-child family fit together very, very, very well…perfectly, actually…and that wasn’t a good thing. Seven of Spades suggests that these are growing pains: learning to fight for love, and, because Spades are Amethyst’s suit, learning to love to fight. 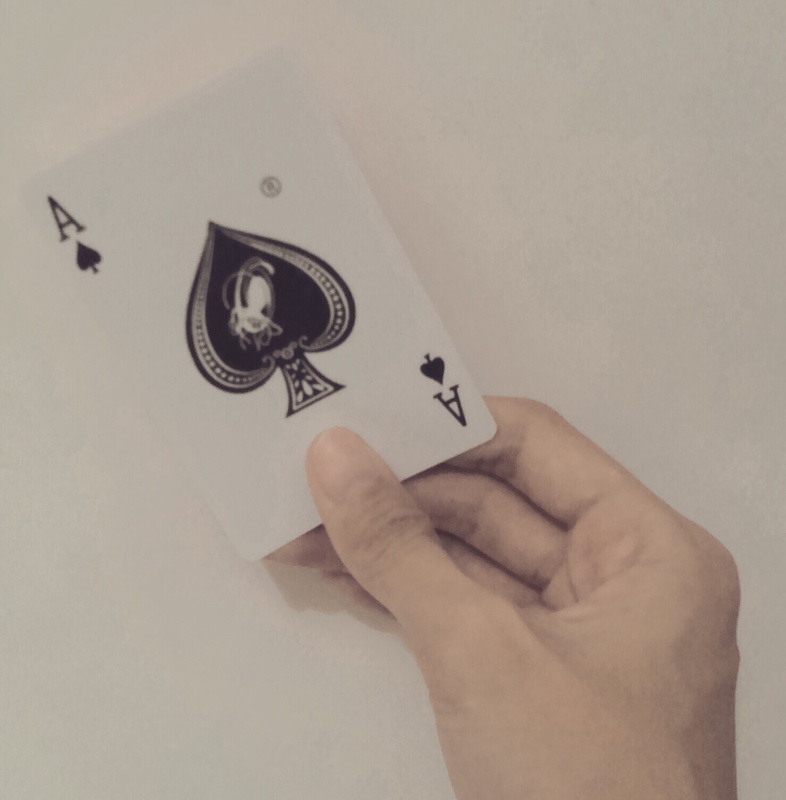 The dream won’t wake up (Seven of Hearts) because…I carry over issues from people I’ve avoided and apply them to dynamics/relationships where those people are gone. That doesn’t mean that I’ve won against some echoing violation of some principle, it means I’ve introduced conflict where there previously was none. From the Eight of Diamonds, I get the sense of calcification. Everything will become clear and make perfect sense…which is always the moment I should know I’ve missed something…but, narrative is power, and power is amoral and orthogonal to truth. There’s a sort of power that makes something true, and I’ve never witnessed the beneficial effects of that. The following entry may contain triggering material, spoilers for Steven Universe and Soylent Green. I appreciate how commonplace playing cards are, and I admire fellow whatever-you-call-us’s tips to turn commonplace objects wishcraftsy. Too bad the images are too abstract for me in this case. I’d have the same reader’s block with a lot of tarot “pip decks”. I like them fully-illustrated with some sort of story to make of those images. At the same time, structure mattered a bit, not enough that I’d ever master the Opening of the Key spread. I’d trimmed the Dream Cards (sliced off the borders, had a corner-rounder for them and everything, though I don’t recommend pen cutters—broad bladed box cutters made for cleaner slices) but kept trying to think them into a tarot system anyway, which was awfully limited of me to think. If I hadn’t lost them when I ran away from home, I’d finish the trimming and try to appreciate that deck as a structureless, intuitive oracle. My first reading with the elected major arcana and court cards of that deck was eerily accurate. When I wondered about Steven Universe as a pop culture pagan thing, my next thought was that there was enough story to fit with something as abstract and structured as a card deck. I. Each of the suits would be ruled by one of the four survivors of the Gem Wars: Garnet as the balanced heavy-hitter, clubs; Amethyst as the challenger from Earth, spades; Pearl with the structures and lucidity, diamonds; and Rose Quartz as ruling the suit of hearts. II. What the ones to tens of each suit would mean then got me thinking about numbers as a pure notion. The tarot aces, I would interpret as a pure, nascent form of the suit. The Ace of Cups would be a flash of intuition or interpersonal understanding, the Ace of Swords would be an irritation or epiphany…Maybe tens would symbolize overall excessiveness, but in between I didn’t think to interpret by pip number. I’d learned keywords, and putting a number to the suit would be more a way to organize those keyword concepts, than significant in and of itself. IV. What does suit plus number mean to each of them? Once I filled out the table, I thought, I could consider the whole and find general patterns (what’s the three-ness between fusion, curiosity, and balance? )—and then make adjustments to better fit that general pattern. So I got to actually shuffling an actual deck of cards, to find out what meanings I could intuit based on what I knew of the story. The above spread just occurred to me and felt right to do. The question was: What should I know, about all of you and this method? 1.) Garnet, top, the multiple possibilities of a foreseeable future. Six of Diamonds. 2.) Amethyst, mid-right, how to attack…erm, approach this issue. Three of Spades. 3.) Pearl, mid-left, what to worry about (plan for or resolve). Two of Clubs. 4.) Rose Quartz, bottom, foundations for healing/growth and protection. Five of Diamonds. Six from the suit of Pearl in the position of Garnet generate a Sardonyx with a quality of six-ness. This conveyed to me a moderate number of equally likely futures, perfectly calculable but not worthy of the effort. The stakes of choosing one over another path are average. Three from the suit of Amethyst in the position of Amethyst, with a quality of three-ness. Just do a thing to make a thing happen. Two from the suit of Garnet in the position of Pearl didn’t come off as a fusion this time, but an irreconcilable distance between reasoning and passion. Five from the suit of Pearl in the position of Rose Quartz came off more like a suggestion to being humble and charitable…so, I admit this is a slapdash mess and I post it here for anybody who can make something of it to make something of it. I think what I liked most about this reading was that this deck is made of flippy, slippy, plastic card. As I understand to make it called for dredging up fossilized ancestors to fuel some pollution of the air, and it takes so long to break down and become part of the ecosystem again, and even when it does a bit, the tiny plastic bits displace the nutrients in baby seagulls’ digestive systems and whatever other animals accidentally eat it, so they starve without feeling hungry, so the diligent seagull parents never get to see their baby seagulls grow because they die and the seagulls never know what they did wrong by their babies—I don’t like this part. It’s a horrible part. …I thought I could hear Garnet reminding me that these cards are made of stardust, just like everything else in the corporeal world—and besides, Gems are all about technological innovation. Waterproof playing cards are fine representations of that. …Hrmm…maybe I should have thought up a Steven Universe based divination system using dice in shapes other than cubes. Those can look like gems.